Sather's move comes after 19 years with the Rangers in which he served the first 15 as New York's president and general manager. He ceded general manager duties to longtime assistant Jeff Gorton before the 2015-16 season. 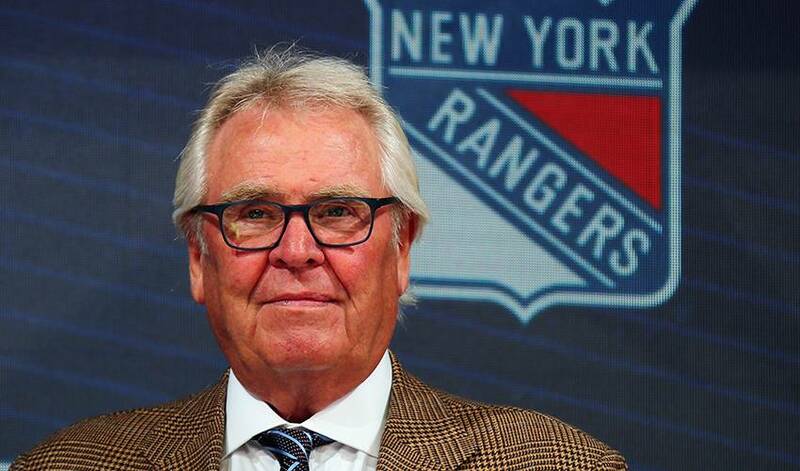 The Rangers made the playoffs in 12 of 18 seasons with Sather and reached the Stanley Cup Final in 2014. Sather's 556 wins as GM are the most in franchise history. "Glen has become one of the most successful executives in Rangers history, and his current strategy has set the team on the right path to achieve our ultimate goal," Dolan said. "Glen and I will work closely together to identify his successor. We thank Glen for his dedication to the Rangers, and to all of hockey, and look forward to his continued contributions to our team in his advisory role." While Sather's finest work came building the Oilers' dynasty, he also brought the Rangers back to respectability after some down years in the late 1990s. When he handed the day-to-day reins to Gorton, it marked a shift in organizational philosophy that now includes a rebuild around young players. "I want to thank Jim Dolan for a great partnership working together over the last 19 years and to everyone in the Rangers organization," Sather said. "I truly believe the team is headed in the right direction and think the future is bright. I look forward to transitioning to a different role and continuing to play a part in building the next Rangers Stanley Cup contender."